Acute treatment of migraine with or without aura in adults. The initial recommended dose is 2.5 mg. If symptoms persist or return within 24 hours, a second dose has been shown to be effective but should not be taken within 2 hours of the initial dose. 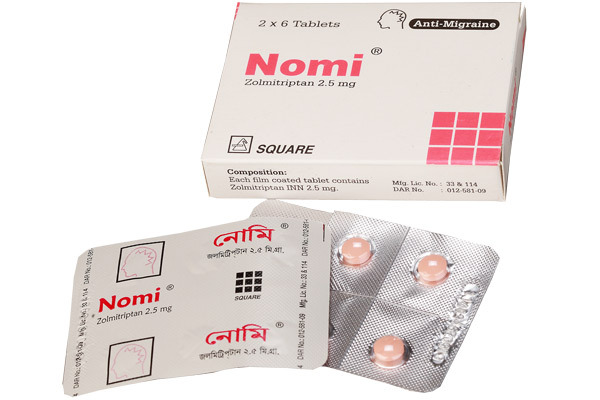 Nomi® tablet: Box containing 12 tablets in blister pack.